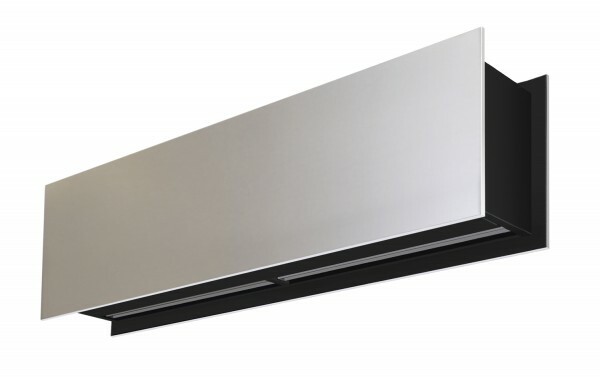 Decorative air curtain in contemporary architectural style. 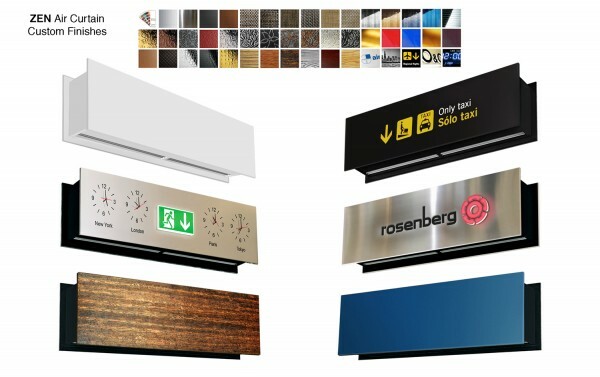 Its minimalist and smart design integrates in any environment and offers infinite options to customize. The panels can include logos, lighting, signage, safety or information signs, graphics, pictures, clocks, all according to customer specifications. Front anodized aluminium panels. 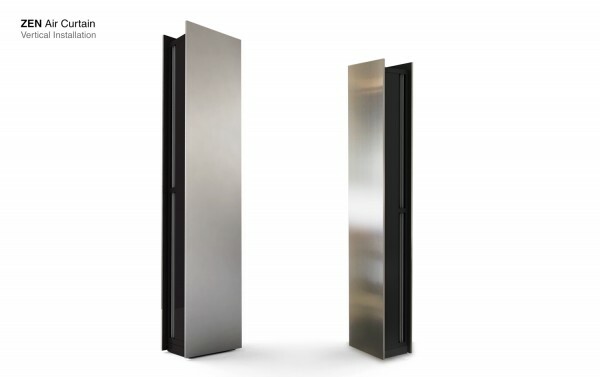 Optionally manufactured in brushed or mirror polished stainless steel. Other materials are possible, such as galvanized steel, smooth or texturated skinplate, wood, etc. Central structure made of galvanized steel finished in black forge as standard. Other colours are available on request. 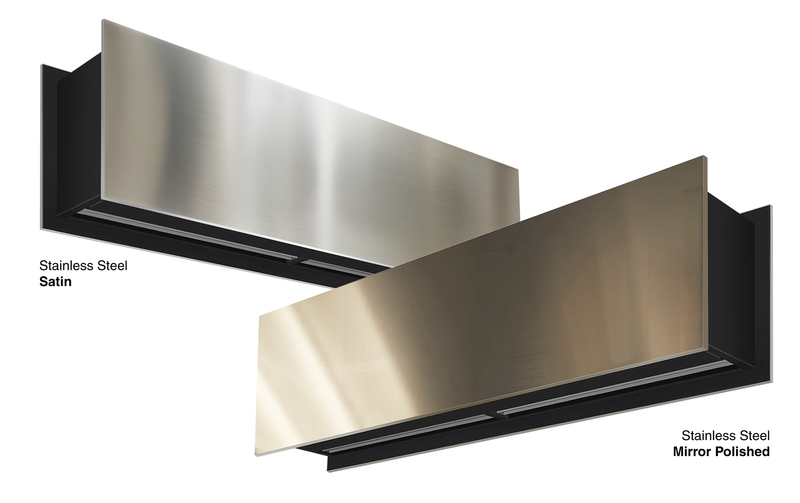 Anodized aluminium outlet vanes, airfoil shaped, adjustable in both directions. EC Double-inlet centrifugal fans driven by an external rotor motor and low noise level, with very low consumption efficency fans. “P” type with water heated coil. “E” type with electrical shielded elements, three stages with integrated regulation. “A” type without heating, air only. Optional expansion DX coil.